DigitalBack Books and Brent Library Council have come together for an innovative partnership to make their growing collection of books available to Brent Library card holders. It's absolutely great that DigitalBack Books and Brent Council Libraries have come together to put as many books by African and Caribbean writers in the hands (or should I say e-readers) of their library card holders, and make it as accessible as possible for them. Plus if this encourages people to not only read more, but to read more books by African and Caribbean authors, then that's even better for building and fostering reading by writers whose works aren't always as visible in mainstream contexts. Well, in their efforts to make writing from African and Caribbean writers more available to readers - throughout October, DigitalBack Books - an eBook platform offering "deliciously diverse writings from Africa and beyond" - have an exciting line-up of events to bring to introduce African and Caribbean writing to readers. The three events are taking place across different Brent libraries. 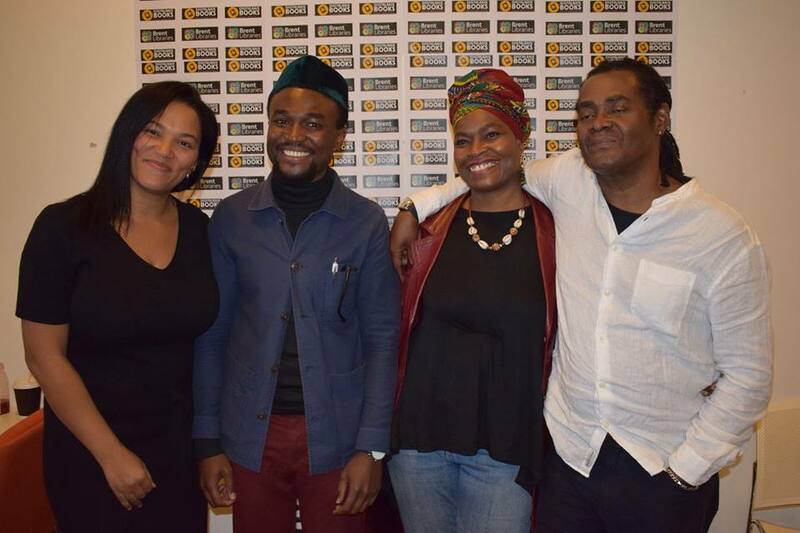 The first of the event took place last week (Tuesday 3 October) at Willesden Library - focusing on Crime Fiction, and was chaired by Henry Brefo (co-editor of Flight Journal, Writivism Strategic Advisor and former co-founder of Afrikult.). Henry was in conversation with Michelle Asantewa and Jacob Ross about their works and crime fiction. The second event - taking place Tuesday 17 October at Harlesden Library, and moderated by me is all about Romance and Erotica Fiction. 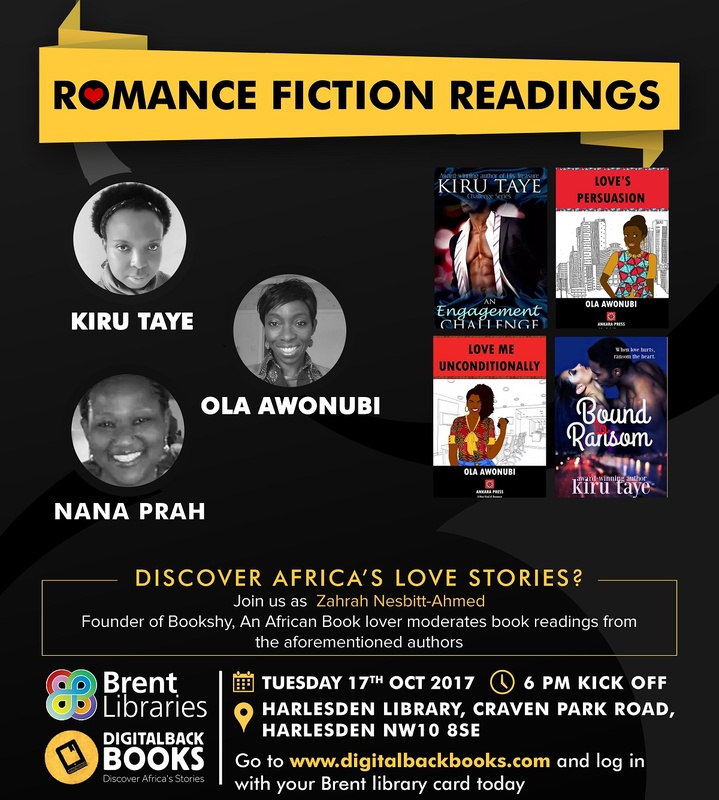 At the event will be Kiru Taye, who has written over 20 romance and erotica books, Nana Prah - author of contemporary, multi-cultural romance, and Ola Awonubi - an award-winning writer whose first foray into the romance genre was via Love's Persuasion - published by Ankara Press. The end of the month - Tuesday 31 October - sees short story readings at the Library at Willesden Green. 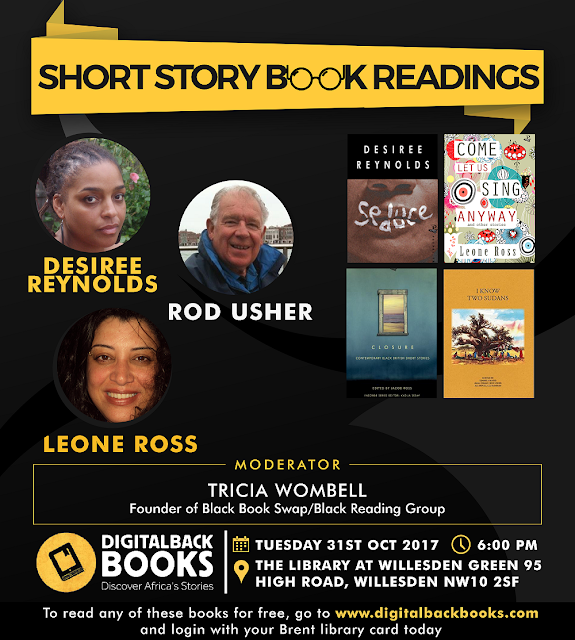 Chaired by Tricia Wombell (founder of Black Book Swap and Black Reading Group) it brings together short story writers such as Leone Ross, Rod Usher and Desiree Reynolds.